PROVO, Utah (August 9, 2016) – Peak Capital Partners, a Utah-based apartment investment and management company, today announced it recently acquired Cabana on Everhart, a 207-unit apartment community in Corpus Christi, Texas. The property offers one- and two-bedroom units ranging in size from 700 square feet to 910 square feet. The community offers residents an attractive amenity package with two swimming pools, outdoor grilling area, private fitness center, dog park, gated entry, and a sport court. All units have a patio/balcony, ceiling fans, high-speed internet, walk-in closets, and washer/dryer connections. After acquiring the property, Peak replaced five-gallon-per-flush toilets at the community with ultra low flow 0.8-gallon-per-flush toilets. Peak also replaced showerheads and aerators with low-flow equipment and inspected all fixtures for leaks to reduce water waste. 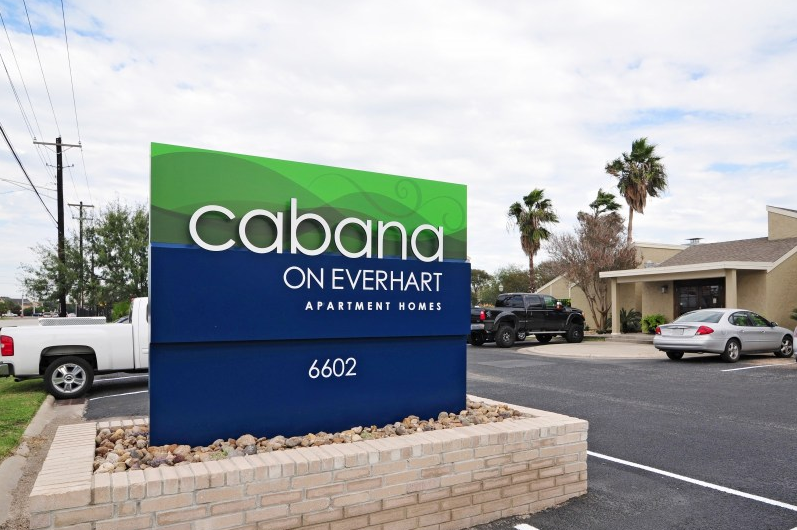 Cabana on Everhart is in close proximity to a number of major employers, including M&G Chemical, Christus Spohn Health System, Corpus Christi Army Depot and Naval Air Station, Cheniere Energy, and Eagle Ford Shale. Texas A&M Corpus Christi supports a student enrollment of more than 11,000 students. Del Mar College serves more than 22,000 students in the Corpus Christi area with over 1,500 full-time employees.